Below are highly recommended multidisciplinary databases available to the school. More databases, sorted by subject, is available under the "Nursing Databases" and Medical Assisting Databases" tab. An access code is required for these databases. If you do not know the LIRN access code, please email ksaw@edaff.com or sfazio@stpaulsschoolofnursing.edu. A database of encyclopedias and specialized reference sources. Use this database to get a topic overview on a variety of subjects. Access to research articles from Health, Medical, Nursing, Psychology Journals, and more. Access to newspaper articles from more than 1,000 newspaper from around the world. Premier source for peer-reviewed, full-text articles from the world's leading journals and reference sources. Includes extensive coverage of the physical sciences, technology, medicine, social sciences, the arts, literature and other subjects. Why can't I use Wikipedia for my Paper? 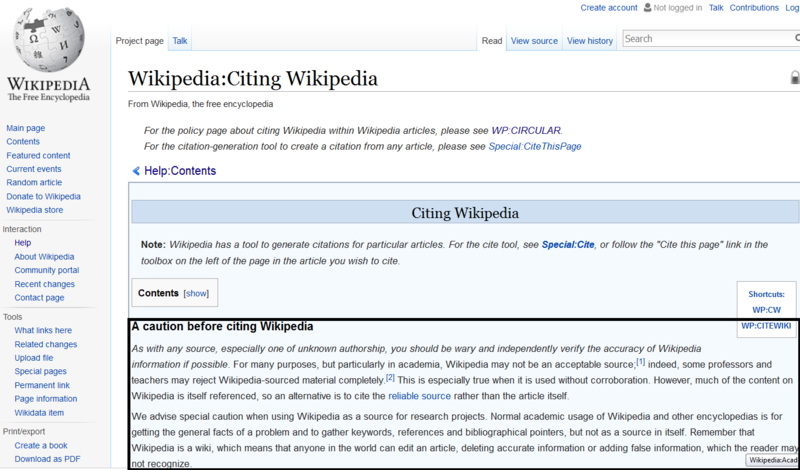 Wikipedia itself cautions against using it as a source for a research paper. In college, when writing a paper, you are required to use reliable information sources. See below to find out why it is not acceptable to use just anything you find on the Internet. The easiest way to ensure that you are using reliable information is to use the school's Research Databases. Can you really trust every information source on the Internet? The answer is obvious. No, you cannot! That not to say that everything you find using a Google search (or a search using a different search engine) is untrustworthy and unreliable. There are, however, a number of reasons you should be weary of using just anything you find on the Internet.